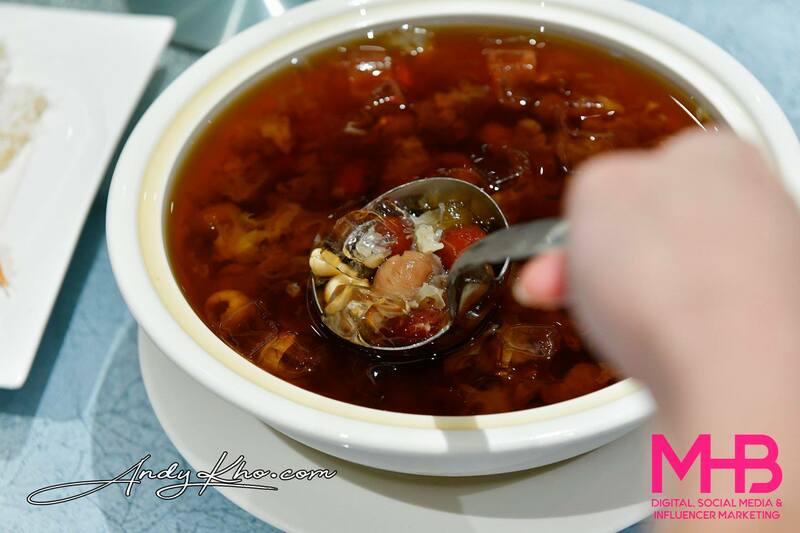 We recently visited Zuan Yuan Chinese Restaurant at One World Hotel Petaling Jaya for our Chinese New Year dinner, taking the opportunity to try out the restaurant’s CNY creations by Executive Chef Michael Chew Chee Peng. 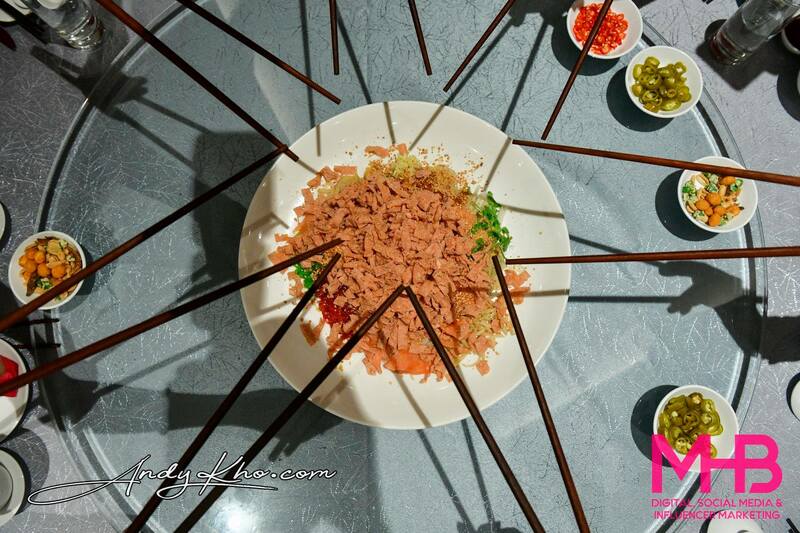 Zuan Yuan seats 380 persons, and provides a Cantonese culinary experience in a stylish venue that embodies the concept of vitality and energy, with spacious and pillar-less dining area, sophisticated colour palettes and elements of modern oriental design. 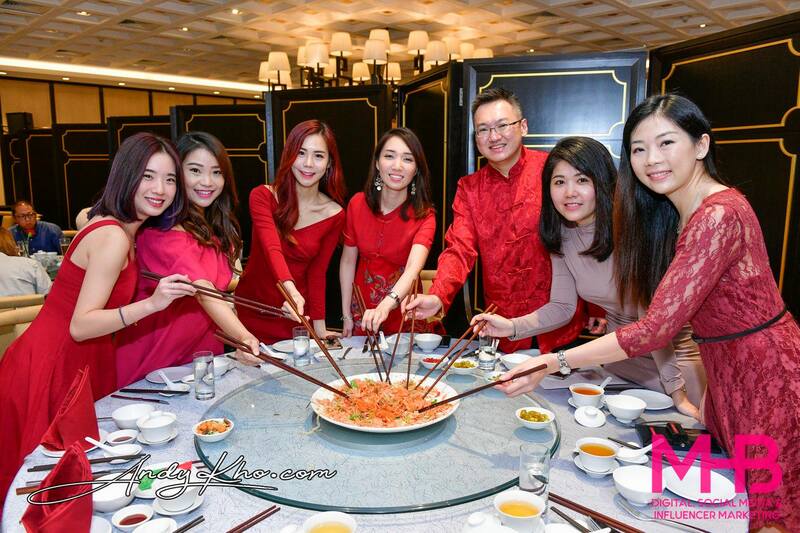 The restaurant also has private dining rooms, with eye-catching backdrop inspired by traditional Chinese mountain paintings, and a brightly coloured and very Instagrammable side wall providing a cheerful ambience for your celebrations. The rooms can be used as one large room or partitioned into two to five rooms, seating up to 100 persons in total. For this year’s Chinese New Year celebrations, Zuan Yuan is offering five (5) varieties of this popular salad are available for dine-in or take-away from 1 January to 1 March 2019. 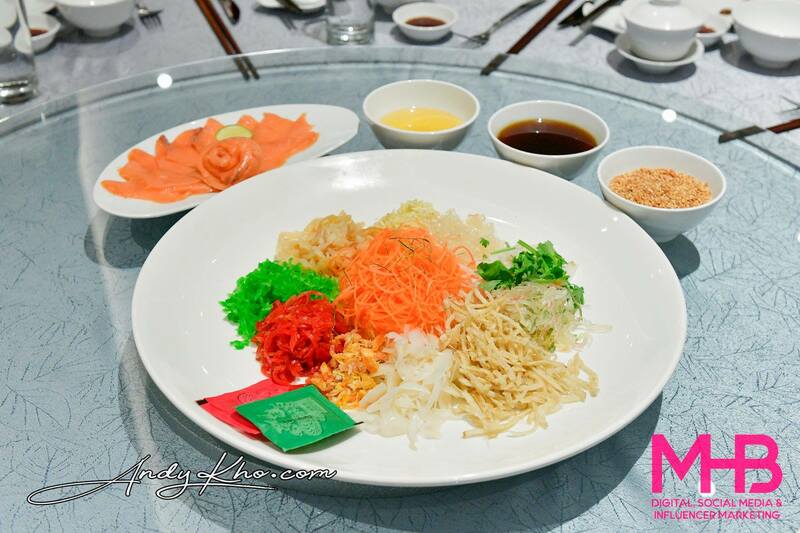 Priced from RM118.00nett, the premium selection includes Yee Sang with Salmon Skin and Abalone, Yee Sang with Soft Shell Crab, Yee Sang with Abalone, Yee Sang with Salmon and Fruits Yee Sang with Chef’s Signature Sauce. 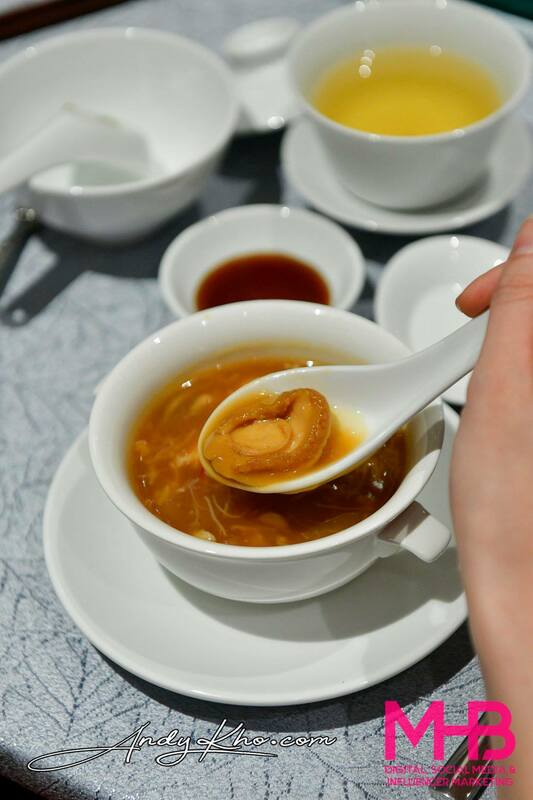 You can also usher in the Year of Swine at Zuan Yuan Chinese Restaurant from 15 January to 3 March 2019 with three (3) set menus with dishes signifying everything auspicious from prosperity, good luck, good fortune, good health and longevity. 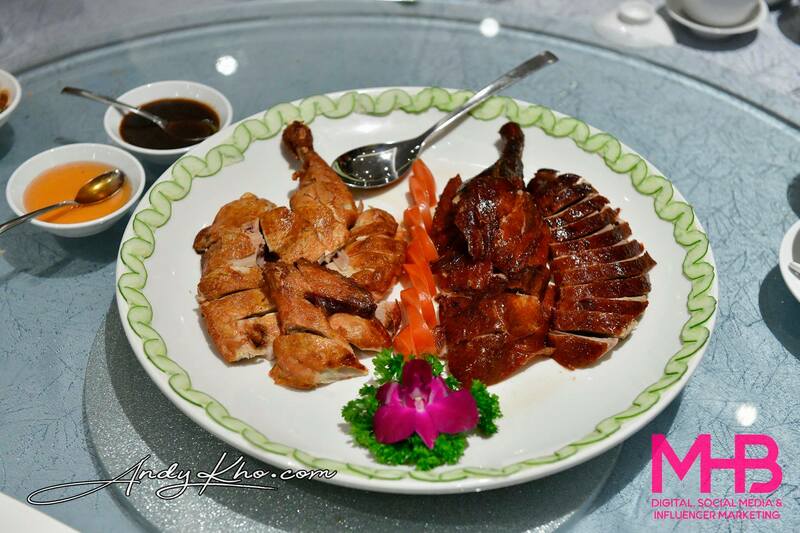 The menus echo Executive Chef Michael Chew Chee Peng’s two-decade culinary prowess and centred on time-honoured Cantonese cuisine signatures. 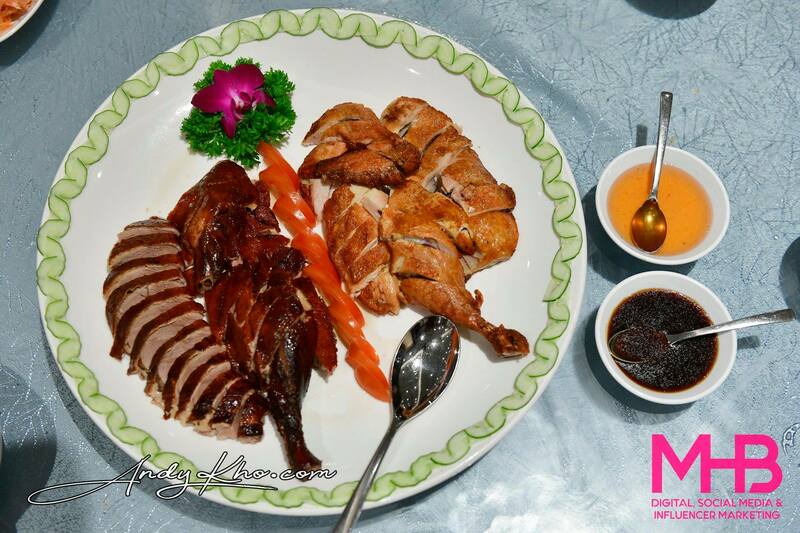 Among the featured dishes are Braised Pumpkin Soup with Mixed Seafood, Barbecue Roast Duck and Chicken, Steamed Live Dragon Garoupa with Superior Soy Sauce, Wok Fried Prawn with Salted Egg Yolk, Braised Abalone with Seafood, Steamed Rice with Assorted Preserved Meat and “Nian Gao” with Coconut Flakes. 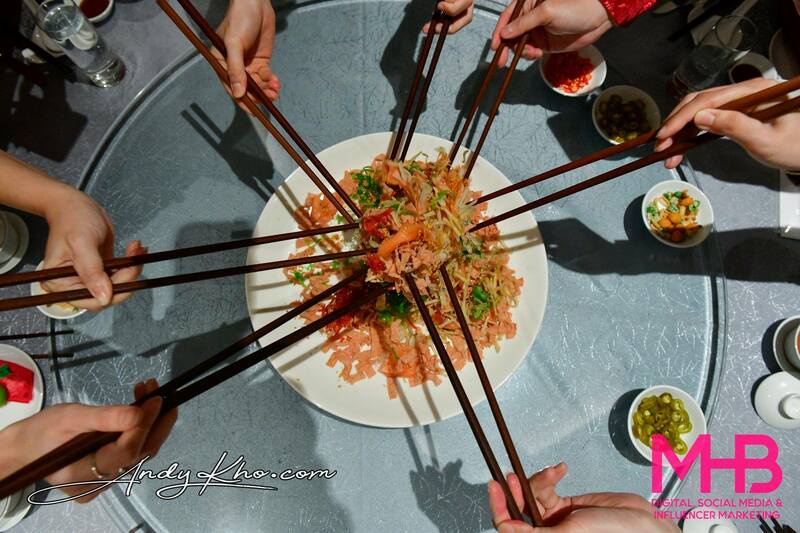 Zuan Yuan remains open on the eve of Lunar New Year and throughout the festive season. 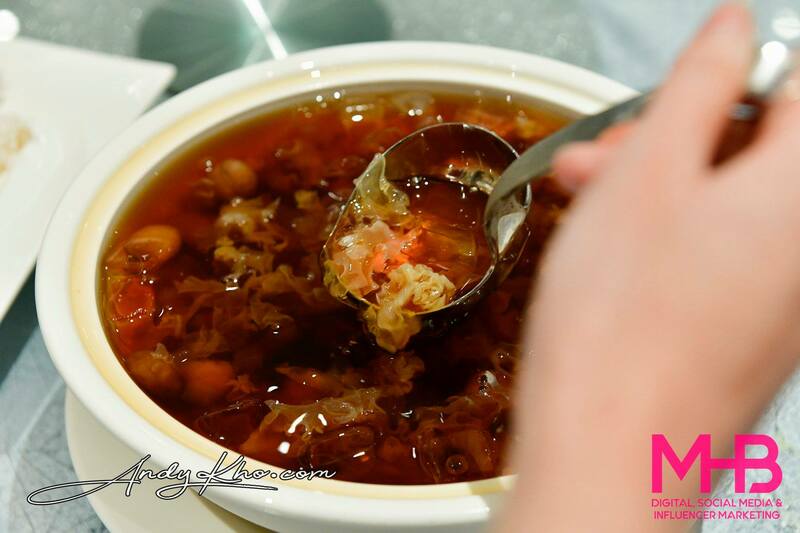 We are really glad that many restaurants including Zuan Yuan have stopped serving sharksfin soup! 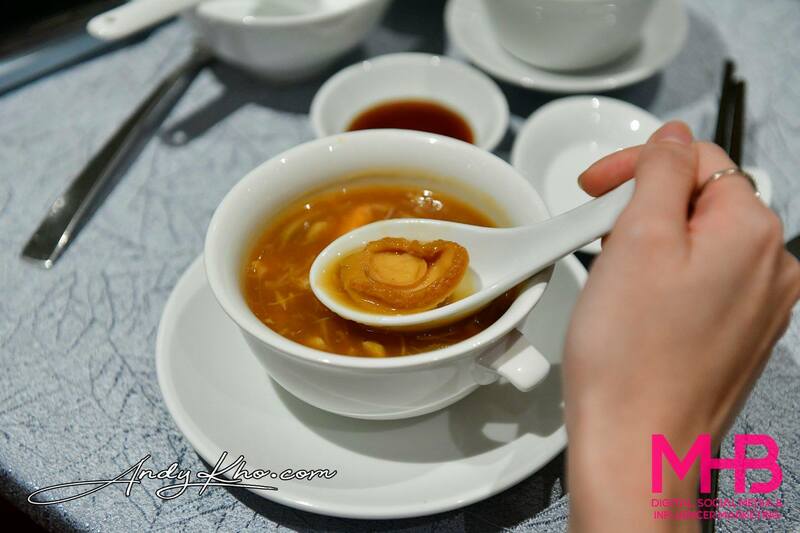 The seafood soup with abalone here is way tastier anyway with loads of umami flavours! 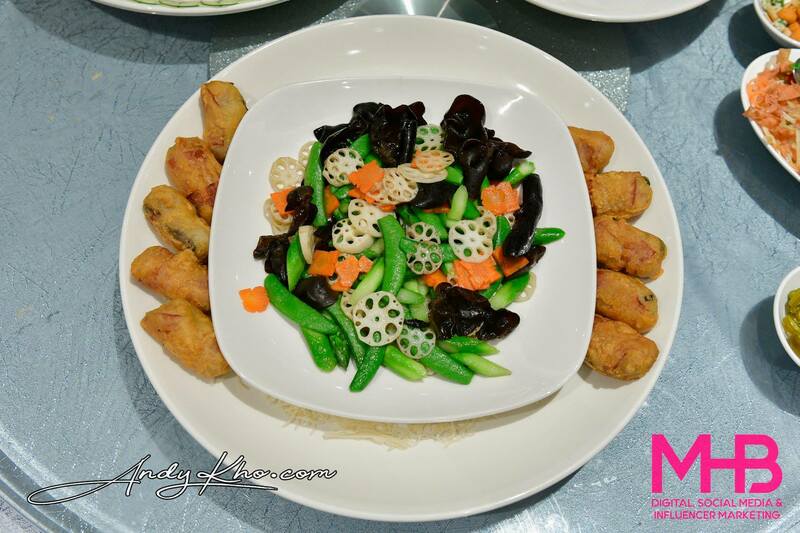 A well executed traditional dish. We especially enjoyed the duck which didn’t have that pungent duck smell. 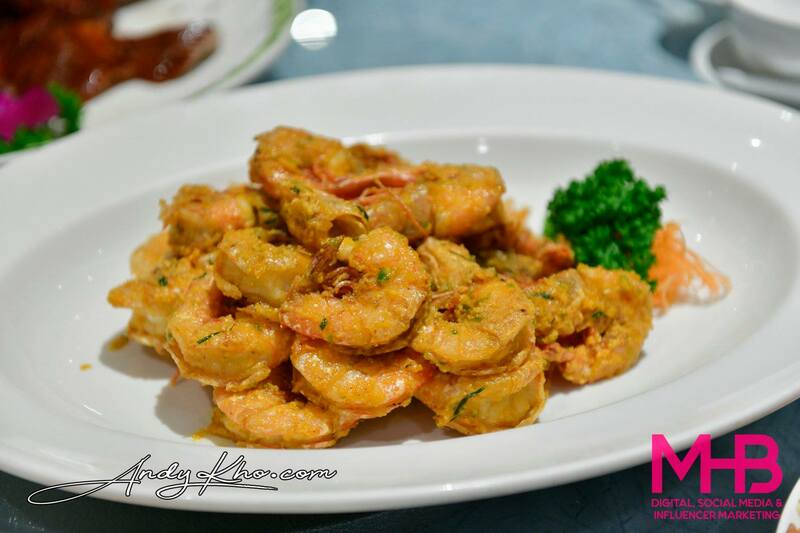 This dish had deliciously creamy salted egg yolk covering the prawns – imparting a rich savoury taste to the prawns. One of the best dishes of the night! 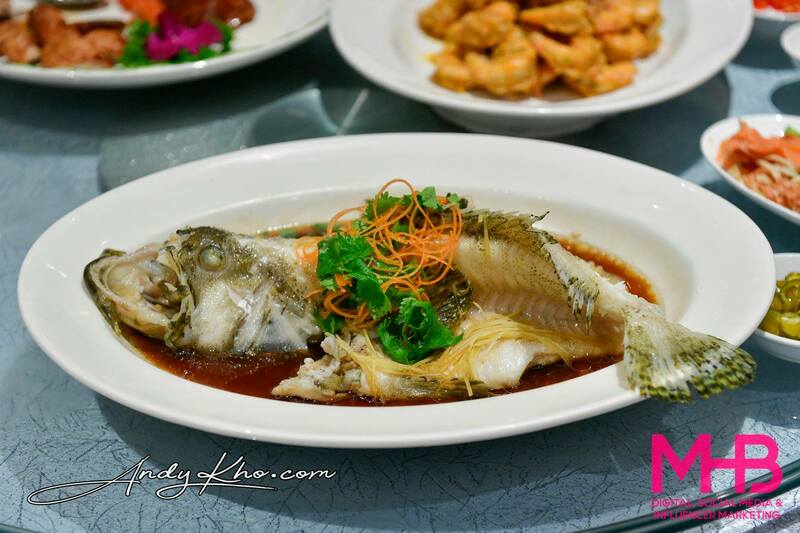 Chef Michael shared with us that fish dishes must be served with the head and tail to symbolise completeness or wholeness – something that is very important to the more traditionally minded Chinese diners, and especially business owners. The fish though, was fresh and tender and complemented perfectly with soy sauce! 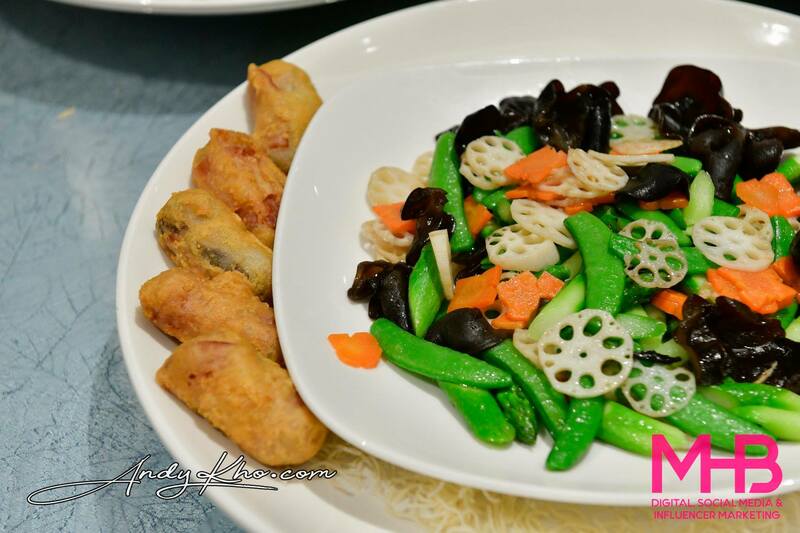 Not your ordinary stir fried vegetables as this fish came with crispy scallops rolls! 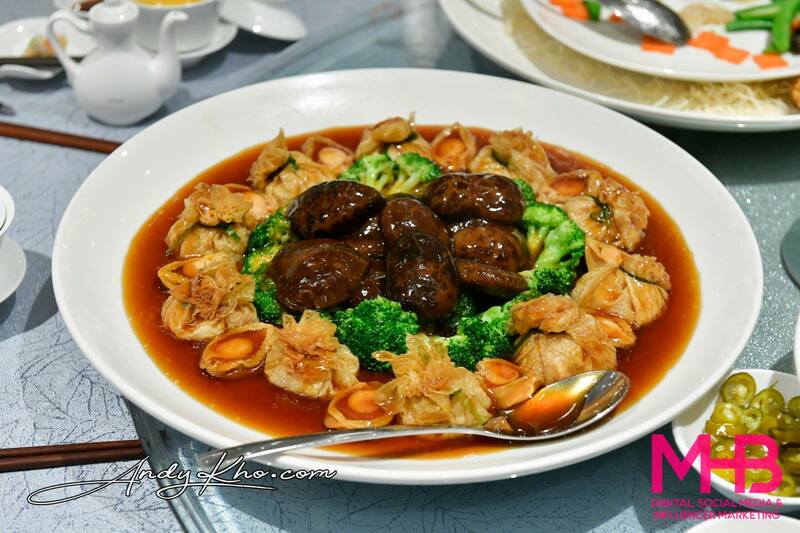 Abalone makes another appearance with this dish! Ending a luxurious meal on a sweet note! Thanks for having us! Happy Chinese New Year to all our Chinese friends!